I trust that everyone has had a relaxing holiday period, and let me wish you all a happy 2019, full of nourishment and plenty of self-love. For my first recipe on The Bee's Leaves, I wanted to share a favourite treat of mine that I love to have especially when I need a comforting, chocolate fix, but one that doesn't cause any kind of guilt or adverse health effects afterwards. This is a recipe for those of you who need to watch your sugar intake for health reasons, or for those people - like me - who can be overwhelmed by guilt over the slightest indulgence. It is a truly horrible feeling, and you shouldn't have to sacrifice your enjoyment of delicious, sweet treats for your mind playing guilt-tricks on you! 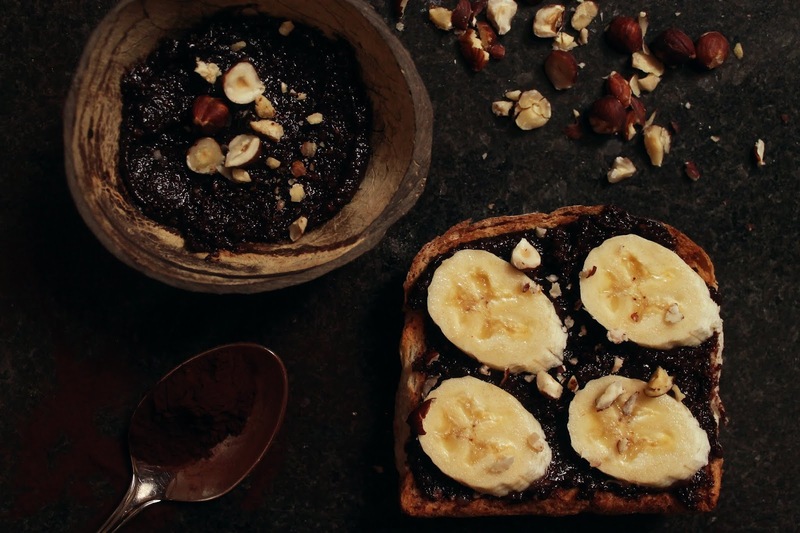 So, here it is: Healthy Hazelnut-Chocolate Spread. Essentially my own, more whole food approach to the popular breakfast spread, Nutella. By using the right ingredients (which I can help you with below) I promise you a guilt-free chocolate fix that's tasty, healthy, and oh so sweet! There are only three, easy-to-find ingredients in this homemade spread, but it's essential knowing how to choose the right ones for you in order to get the most out of this wonderful spread. This is always going to be best homemade - and it's much easier than you think! All it requires is hazelnuts and a food processor. Seriously, that's it. Why don't we all make our own nut butter? If you are buying from a shop, make sure to check the ingredients label for added salt and sugar as they really take the nutritional value of this down a notch. Also be wary of preservatives; remember, all you need for nut butter is one ingredient, so a long list of unpronounceable words should be ringing alarm bells. And while we're on the topic, you can choose any kind of nut butter to suit your personal tastes. I personally love the rich combination of hazelnuts and cocoa, but it's not for everyone. Peanut butter and almond butter would work great here, too! For those of you unaware of the difference between cocoa and cacao, it's really quite simple: Cocoa is simply the chemically treated version of cacao. This destroys a lot of the natural antioxidants (substances that prevent and delay cell damage - AKA disease-fighters) found in cacao, but it also prolongs shelf-life and makes it less bitter. 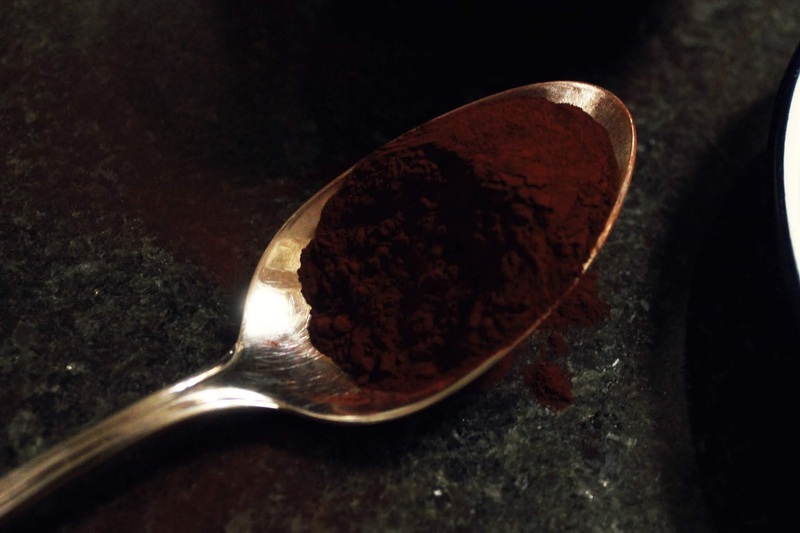 There really is no right or wrong here, whatever version is best for you in your current state is going to be best - I for one am a struggling student in central London, so I choose cocoa powder purely for the lower price! Don't ignore the 'pure' in this! Maple Syrup in its unmanipulated form is incredibly rich in antioxidants - in fact, pure maple syrup contains similar levels of antioxidant activity to broccoli. I'm not the only one who thinks that's amazing, right? But beware that a more cost-effective maple syrup you find next to the pure bottle on your supermarket shelf is very likely bulked out with a huge amount of refined sugars, so be sure that the bottle states 'pure' to ensure a sweet taste without a high GI rating to keep your blood sugar levels healthy for a great day ahead! I hope that the information above will prove useful to some, and at the very least interesting to others - I certainly found it to be! Now, without any further ado, here is your ticket to a guilt-free chocolatey start to your day. Enjoy! This refined sugar-free chocolatey nut spread is the perfect comfort food! Try it on toasted granary bread with sliced banana on top for the perfect morning pick-me-up. Or just grab a spoon when you need a natural sugar hit! 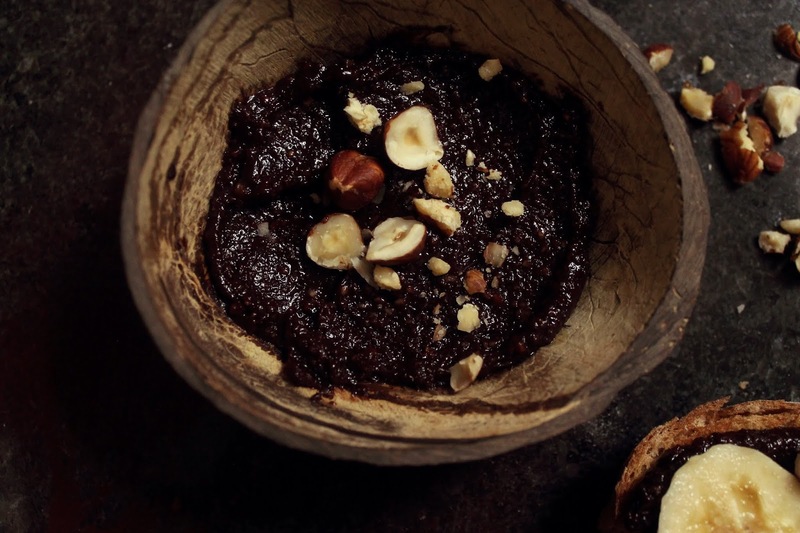 Once the nut butter is easy enough to stir, sprinkle the cocoa or cacao powder into the bowl and mix it in well. You shouldn’t be able to see any clumps of powder or marbling effect. here - you want a deliciously deep brown that’s even all throughout the bowl! Sweeten the mixture with a small squeeze of the pure maple syrup. Take your time mixing it in well before tasting it. If you like things sweeter, add some more maple syrup - but do it slowly, tasting the mixture between squeezes as it can get too sweet very fast! Likewise, feel free to add more cocoa or cacao powder at this point if you want it more chocolatey. Transfer your spread into an old, washed out jam jar (or Tupperware for those unafflicted by aesthetic needs) and keep in the fridge for up to 1 week. If your mixture is clumpy/sticky and isn’t spreadable - this will probably happen if you’re using homemade nut butter - then slowly add some unsweetened plant-based milk a teaspoon at a time, stirring it in until you get a smooth but still thick spreadable consistency. Welcome to The Bee's Leaves!